No matter where your job is in Mossman, Manly or Clontarf, Botany Cranes has a fleet of lift and carry cranes available for hire. Whether you need to move piping in Bondi, transport ore from Inner West and Greater Sydney to Neutral Bay or move a load from point A to point B, our crane trucks can handle the job. Additionally, our fleet of multipurpose cranes are state-of-the-art and very well-maintained, and this means that we'll bring our cranes to you, ready to work. We'll help to keep your project in Bronte, Coogee or Cronulla on time and under budget. There is no job too big or too small for our fleet of Franna’s to handle, and we have over 60 years of experience tackling all types of jobs ranging from Maroubra to St. George and Menai. There are thousands of satisfied customers and hundreds of completed jobs under our belts, and we're ready to help your job along with our crane services. We're ready and willing to help you complete your project or get it back on track with our crane trucks. Whether you're in Manly, Dee Why, Belrose or Clontarf, we can get a Franna to you. Contact us today to start the process! 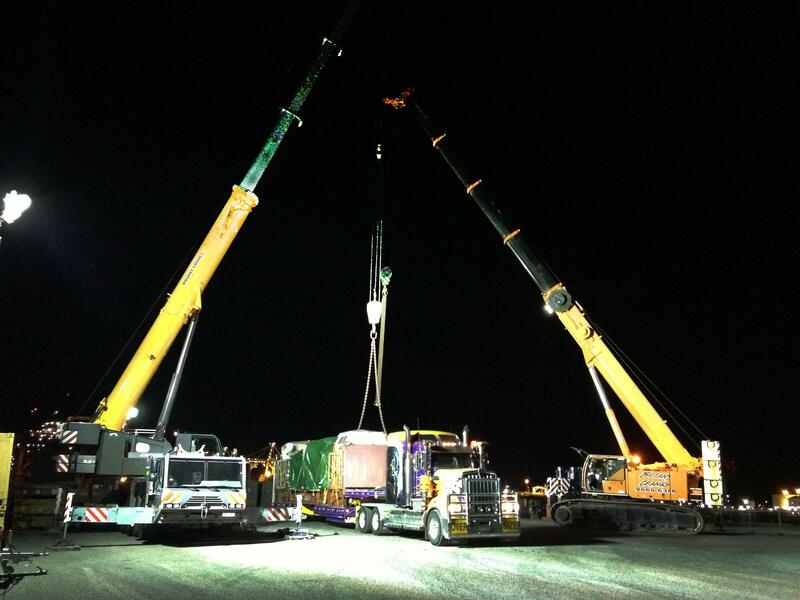 Contact Botany Cranes for All of Your Crane Service Needs Today! Say you take on a large project that spans from Randwick to Coogee and Bronte. You can simultaneously work on all of these sites, and our Franna crane can transport equipment between job sites when you need it. This is convenient, and it can save you valuable time and money because they can travel on public roads and you won't have to break them down, haul them from site and site and reassemble them before you use them. Additionally, we'll deliver the equipment directly to your job when you order it from us, and this can also save you time. This is especially true if you're in a more remote site like Palm Beach. A Franna is a lift and carry crane that is very popular in the civil construction industry for both large and small projects. They're very convenient because they're able to pick up heavy equipment or a load of supplies and transport it on public roads to job sites in Bondi, Belrose or further out in Menai, Cronulla or Palm Beach. Franna cranes don't have stabilizer legs or outriggers because they're designed to move their load from one point to the next within a short radius. These multipurpose cranes have a lifting ability of 10 to 25 tonnes, and they're dominating the Australian market from Inner West and Greater Sydney to Neutral Bay and Dee Why. They're commonly referred to as taxi cranes, and they work well for the construction and mining industry to plants and workshops.